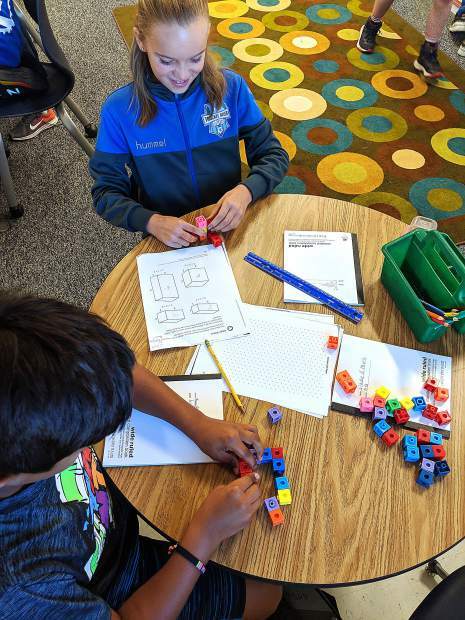 School Readiness — what does it mean for Tahoe-Truckee students? 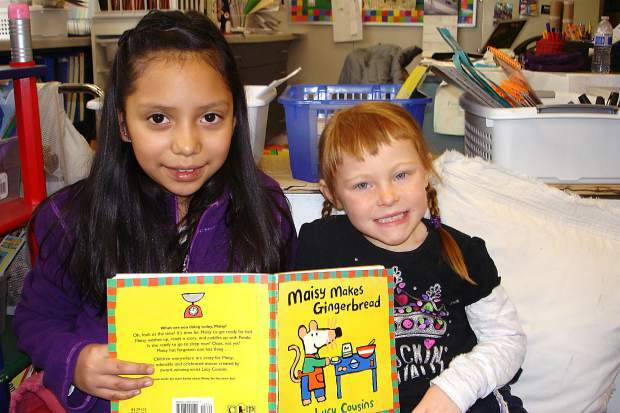 Two local children show off their passion for reading. Parent Workshop: “The Red Zone: Teaching and managing self-regulation with children,” March 28, 5:30-7 p.m. TTUSD District Office. This is the time of year when a great milestone in family life, a child starting kindergarten, becomes very real. Kindergarten Preview Nights are in full swing. Parents are learning about Kindergarten and Transitional Kindergarten and beginning the process of school registration. School Readiness is a term we hear a lot, but what does it really mean? According to the American Academy of Pediatrics, school readiness involves three elements: the readiness of the individual child, the ability of the family and community to support optimal child development and the responsibility of schools to be ready for all children at all levels of readiness. Tahoe Truckee places great value on the well-being of young children, demonstrated by excellent community resources. The vast majority of children entering kindergarten have attended preschool. Placer and Nevada County First Five Commissions have been instrumental in contributing to a deep local network of child/family supports, including Family Resource Centers, educational opportunities for parents, educators and young children, and the construction of KidZone! In fall, 2016, in order to evaluate school readiness strategies as well as help kindergarten teachers individualize teaching; TTUSD implemented the Kindergarten Student Entrance Profile (KSEP). The assessment measures social emotional readiness and school-ready knowledge. Significantly, of the thirteen areas addressed, six pertain to social emotional development, emphasizing the importance of these skills as foundational for learning. But, is my child ready? KSEP was developed with the principle that each child develops at his/her unique pace. KSEP measures six social emotional skills: (the child) seeks adult help when appropriate; engages in cooperative play activities with peers; exhibits impulse control and self-regulation; maintains attention to tasks; is enthusiastic and curious about school; and persists with tasks after experiencing difficulty. The seven knowledge measures: (the child) recognizes own written name; demonstrates expressive verbal abilities; understands that numbers represent quantity; writes own name; recognizes colors; recognizes shapes; and names the UPPER CASE alphabet letters. What can I do to help my child be ready? Make time every day to intentionally Talk, Read, Sing and Play with your child. These activities foster a natural parent/child bond and support healthy social emotional development. At the same time, they are key to early brain development, including pivotal areas of language, vocabulary and pre-math. Fostering a child’s love of books and reading provides the foundation for knowledge acquisition, school readiness and academic success. Ruth Jackson Hall is TTUSD’s Early Learning Coordinator.